Reese Witherspoon arriving for an appearance on "Live with Regis and Kelly"
Want to put his new film "How do you know", was spotted on Reese Witherspoon "Live with Regis and Kelly" in New York City today December 7. 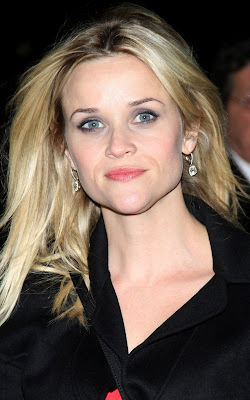 The "Sweet Home Alabama" babe smiled for the paparazzi in a long black coat and sunglasses when she got her out of the studio and while she has had tremendous success in her acting career, Reese admits that she is a little lacking in the grammar department. I had no correct my grammar on a blind date once and I knew within the first 10 minutes that the day was over. I can not even remember what I said I probably said no. Just do not correct my grammar. I'm from Tennessee. I want to say anything wrong.